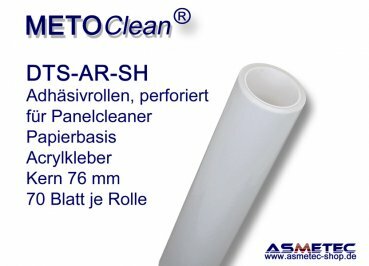 Roll width 762 mm, perforated, 70 sheets per roll. Professional quality with long lastic adhesive properties. Perfect cleaning, also suitable for step process cleaning, no generation of static electricity. The DTS-AR-Rolls come with a smooth PP-Core carrier roll, so the adhesive paper can be used down to the final layer. 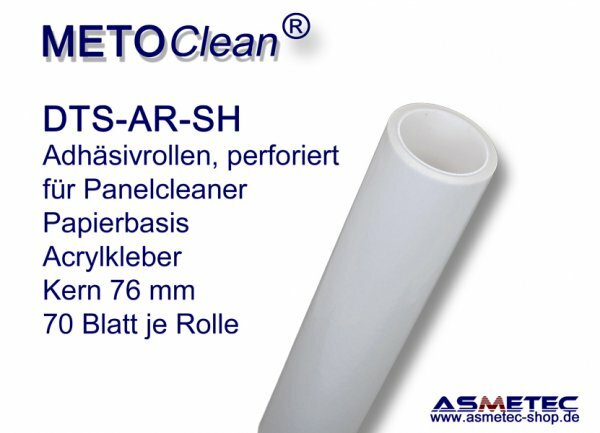 Each roll has 70 pre-perforated sheets for easy release of single layers. Adhesive rolls, paperbased, carrier on plastic core long duration, highest tackyness lowest electrostatic charge for continiuos and step operation. Each roll is sealed in plastic bac to protect against humidity. 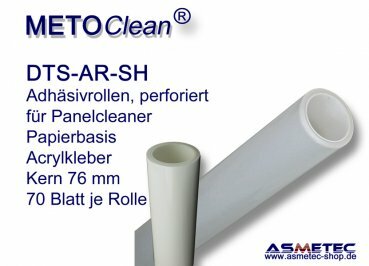 In unserem Endverbraucher-Shop finden Sie eine große Auswahl an technischen Spezialprodukten aus den Bereichen Reinraumtechnik, ESD-Technik, Personen- und Arbeitsplatzerdung, Antistatik-Verpackung, ESD-Zangen, Handwerkzeuge, Arbeitskleidung für den Elektroniker, Messgeräte, Luxmeter und Spektrometer – alles rund um die Lichtmesstechnik, Lupen, Messlupen, Mikroskope, Mikroskop- und Teleskop-Kameras, Lupenleuchten für Beruf und Hobby und vieles mehr.